Judging from the strong response to yesterday’s post, I sense a keen interest in all things Cuban. And why shouldn’t there be, with Havana being a 37-minute flight away from Miami — and yet a world away? No McDonald’s, no Costco, no Home Depot. The equivalent, in a way, of our Old West, with its saloons, general stores, hotels and blacksmith shops. One big difference, though, is no one is walking around with a gun on his hip, or in his pocket. In Cuba, the government’s got all the guns. That’s not necessarily good, but it sure makes for safe streets. 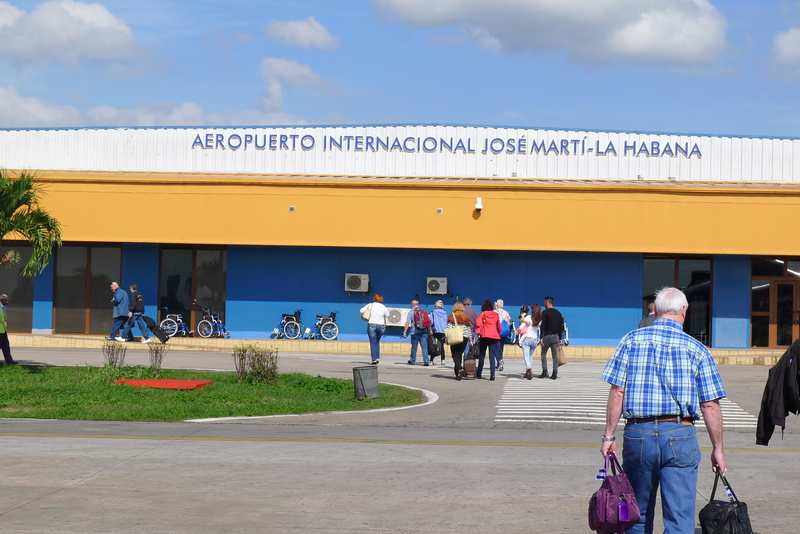 When you arrive at Jose Marti International Airport, there are no jetways; you walk down the steps of the plane and into the terminal. Immediately, you make connection with the ground of a new country. 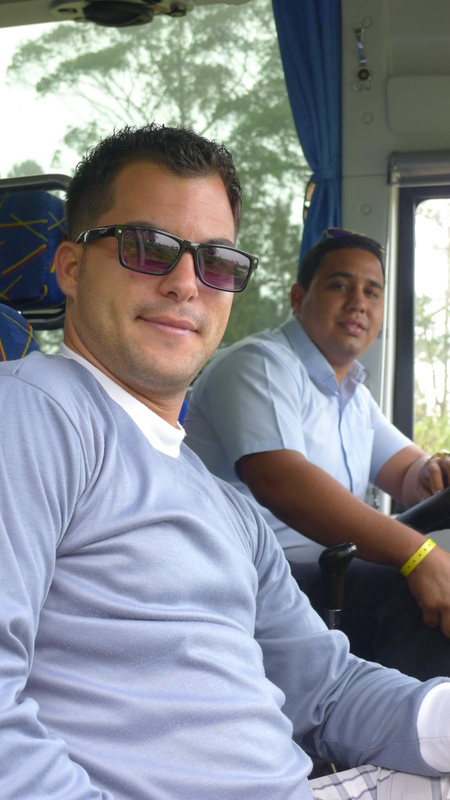 For seven days, our tour guide Roberto and our driver Paqui were our almost-constant companions. Roberto has a brother who lives in the U.S., and his mother is planning to visit Miami this month. Most members of our tour group got the feeling Roberto would be visiting in the near future. 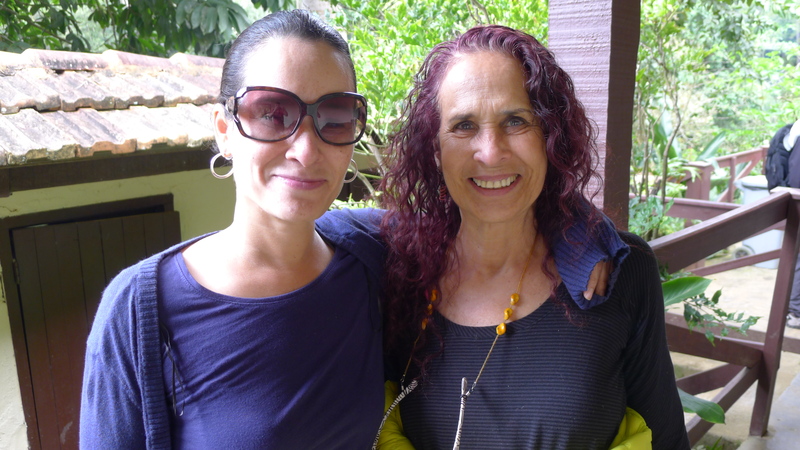 Our group of 10 with Kansas City connections was joined by several people from other parts of the country, including Rima (left), a social worker from Brooklyn, and her mother Susan, a family-advocate attorney in Woodstock, NY. 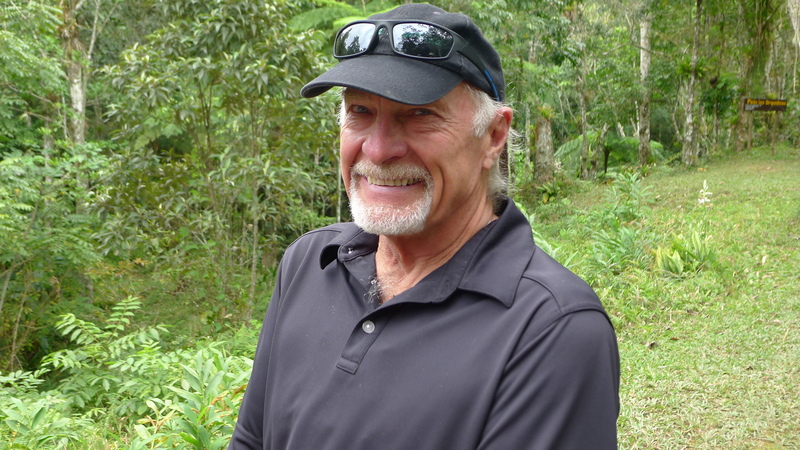 …and Bill, a retired Navy and commercial airline pilot from San Diego. 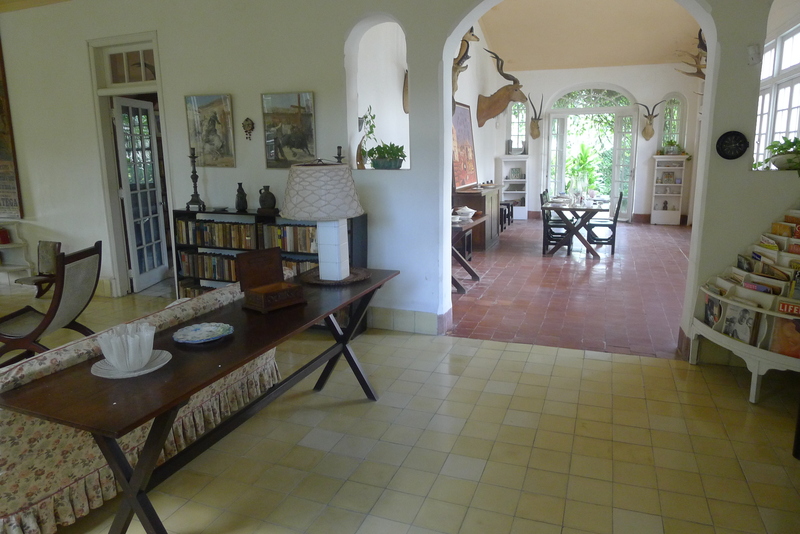 Four of us stayed over two days to see more of Havana and environs. 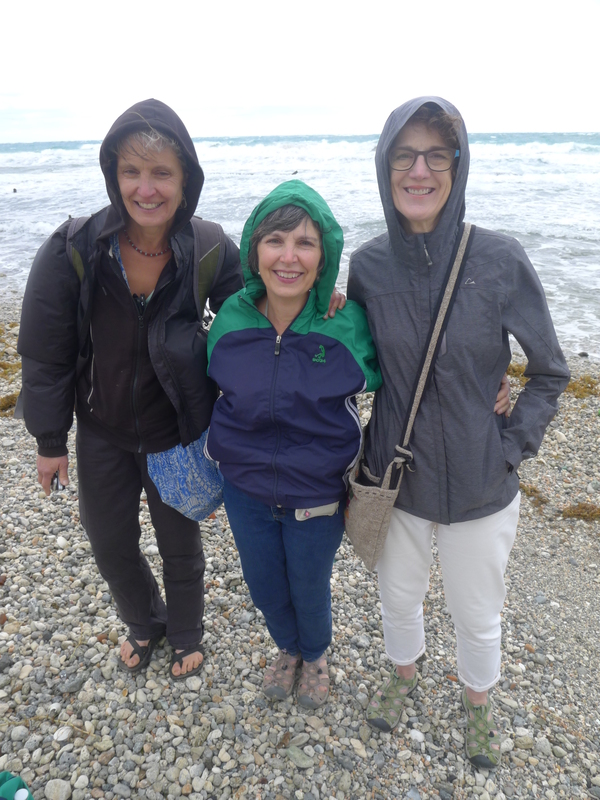 I took this last Sunday, when we spent part of the morning and early afternoon on a windswept beach at Guanabo, a town about 12 miles east of Havana…That’s Patty on the right; Martha next to her, and Martha’s sister, Jane, who lives in New Mexico. During the formal tour, musical groups entertained us at many lunches and dinners. 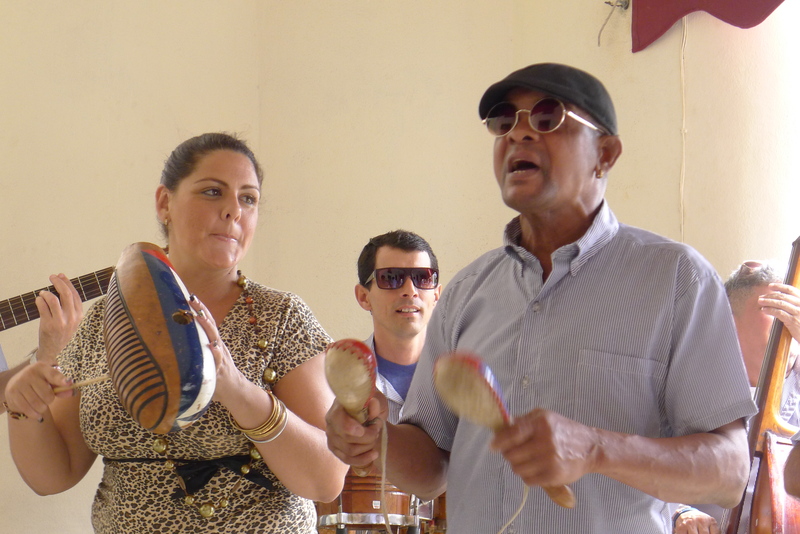 This group was the first we encountered — on our first day in Havana Vieja — and one of the best. Like the musicians, street performers work for tips. 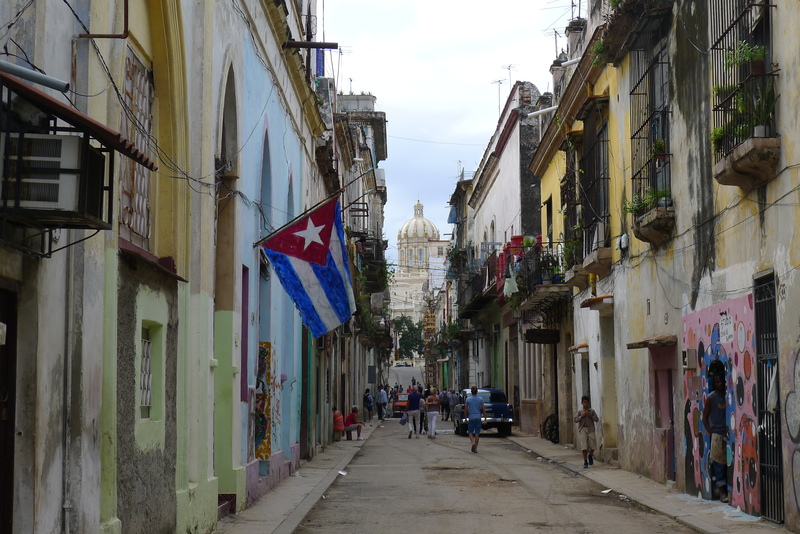 The Cuban flag added color to this street in Havana Vieja — Old Havana — the heart of the city and the main tourist district. In an unbelievable coincidence, we happened upon this old marble staircase — a photo of which has hung in the hallway of our home the last two or three years. 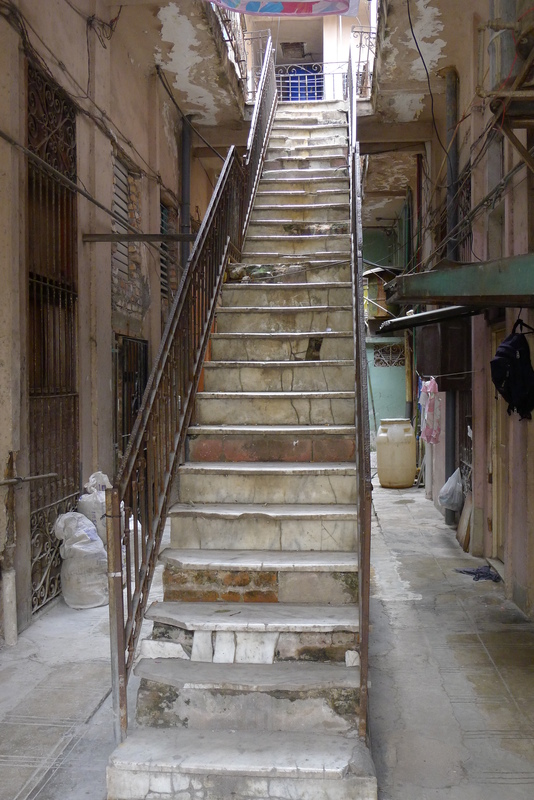 I bought the photo from a local photographer who had visited and photographed Havana…I was dumbstruck after Patty came to an abrupt stop on our walk through Old Havana, pointed to the right and said, “Look!” And there it was, the same staircase. The Malecon, the sea wall that extends along Havana’s shore line for several miles, is a natural and popular gathering place for tourists and locals alike. From the nearby hotels, you can hear the sound of happy voices emanating from the Malecon on calm Gulf Coast nights. 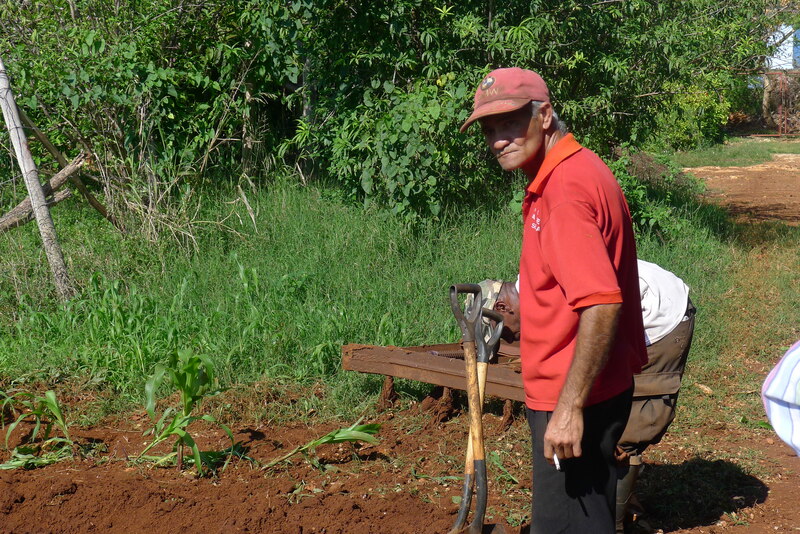 At an organic farm, we saw what rich dirt looks like. …and the people who work it. …and how they till the soil. 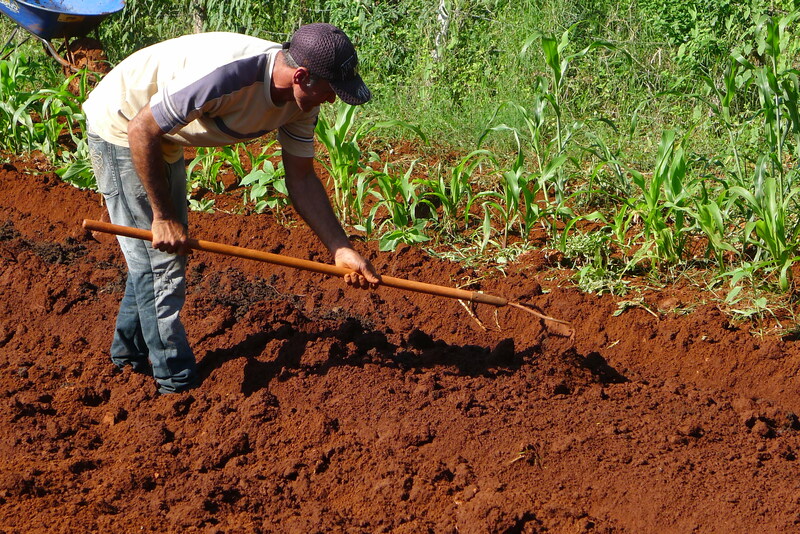 Cuba used to export enormous amounts of sugarcane to Russia in exchange for oil. That came to a crashing halt after the U.S.S.R. collapsed in 1991. Sugarcane, coffee and tobacco remain are still some of the country’s largest crops. 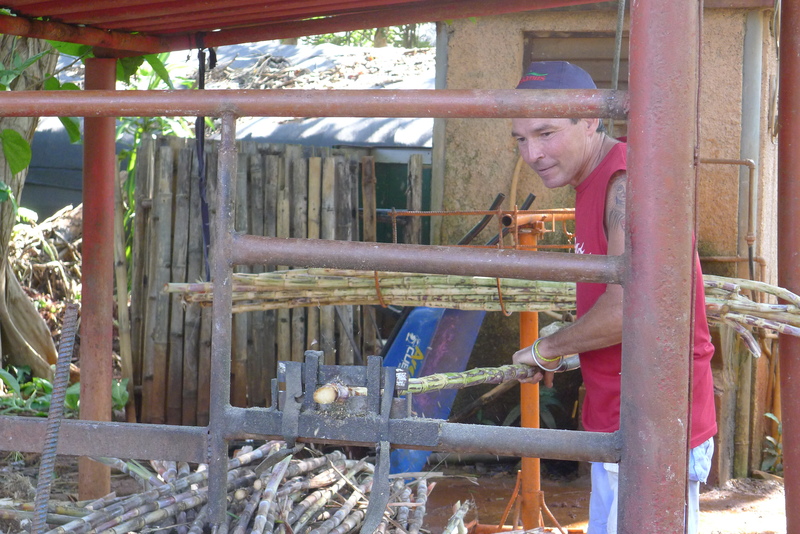 Here an organic farm worker strips a sugarcane stalk. 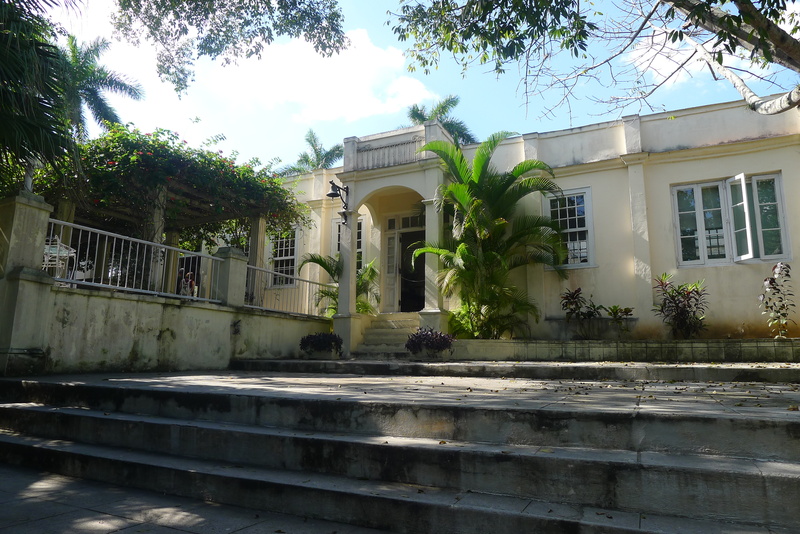 Ernest Hemingway had a rich history in Cuba, of course, before committing suicide in Idaho in 1961. 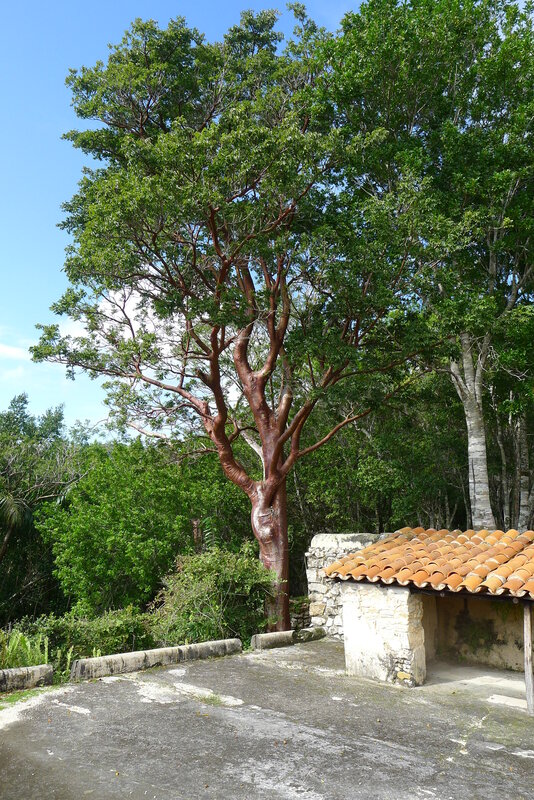 In 1940, he purchased Finca Vigia, or “Lookout House,” several miles outside of Havana, and he lived there off and on until his death. The residence, which sits on 15 acres, is now a museum. Visitors cannot go inside, but they can look through the windows. 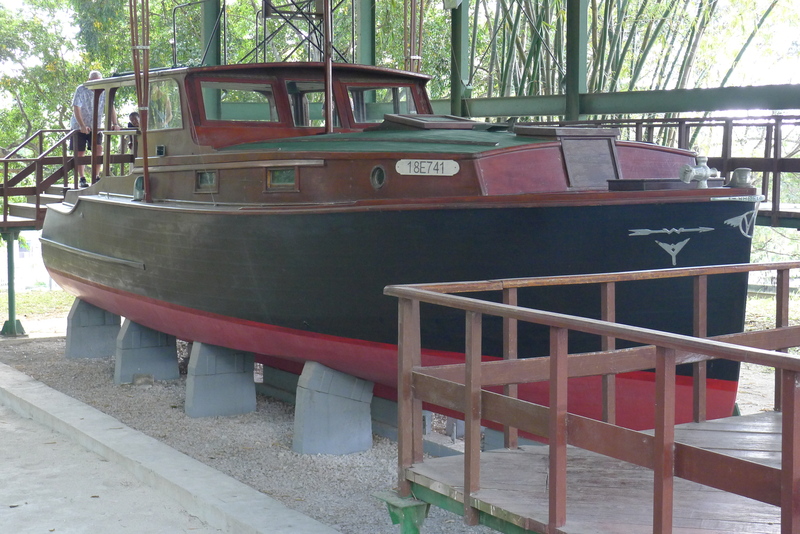 Hemingway’s 38-foot fishing boat Pilar — the nickname of his second wife, Pauline Pfeiffer — is on the property. 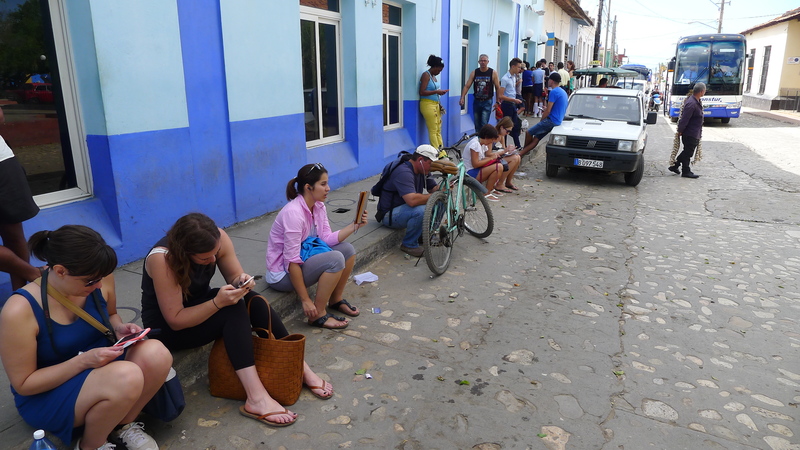 A bustling, relatively modern town we visited in southwestern Cuba, on the Caribbean side of the island, was Cienfuegos. 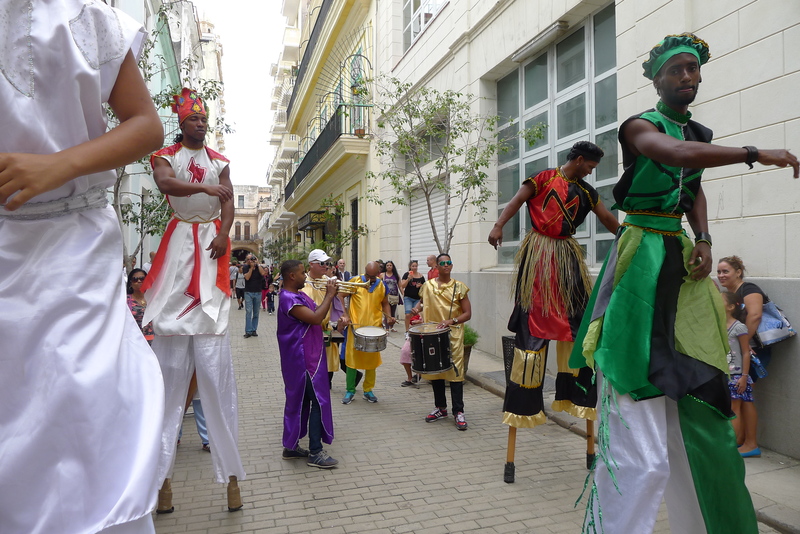 Many young people in Cienfuegos were fashionably dressed. 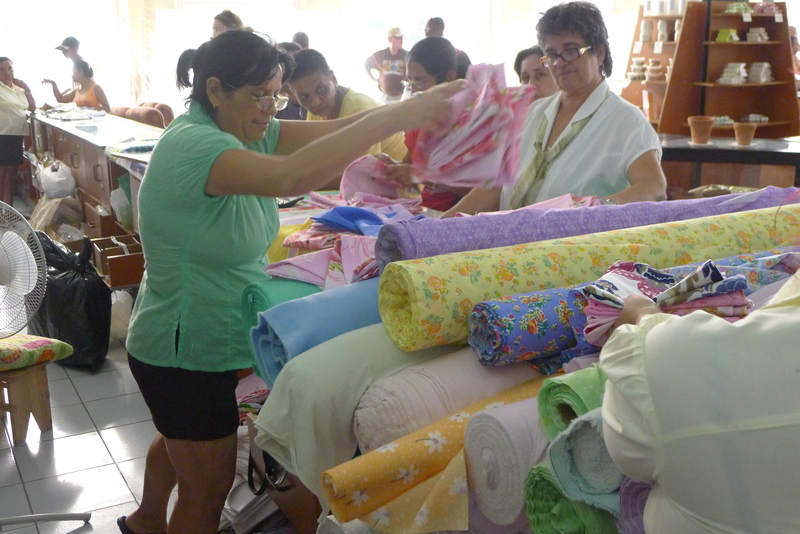 This fabric store was doing a brisk business. 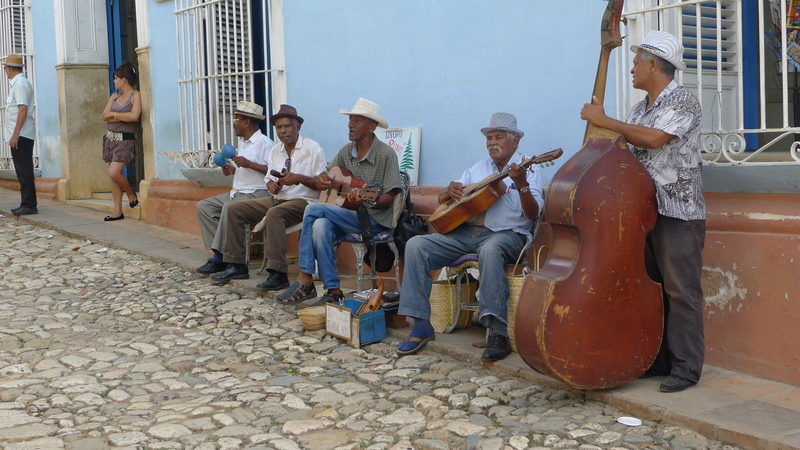 Fifty miles southeast of Cienfuegos is Trinidad, a charming town with cobblestone streets and a lively street life. 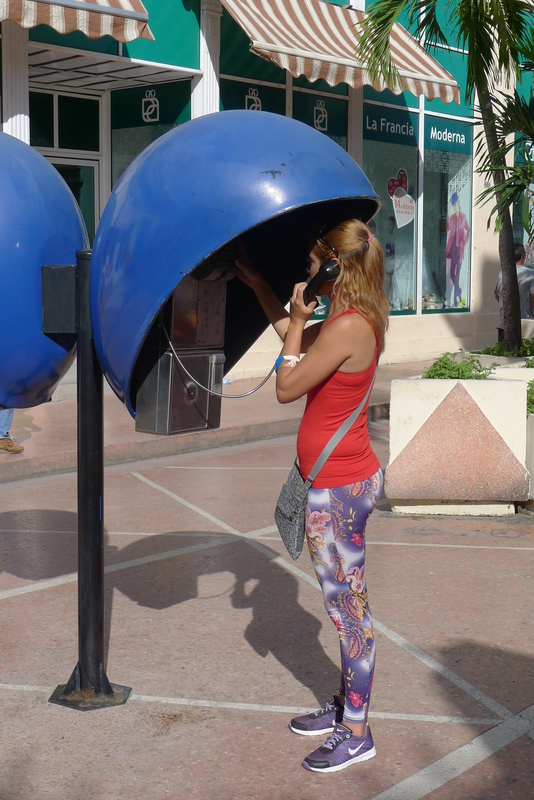 The busiest place in town was the Telepunto store, where people were lined up, presumably to buy phone-time cards. 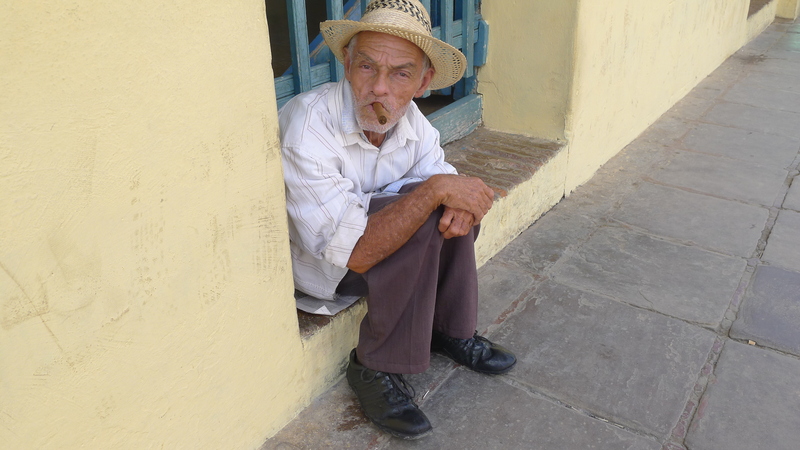 This guy wasn’t begging, but I gave him a Cuban 25-cent piece in exchange for this photo. 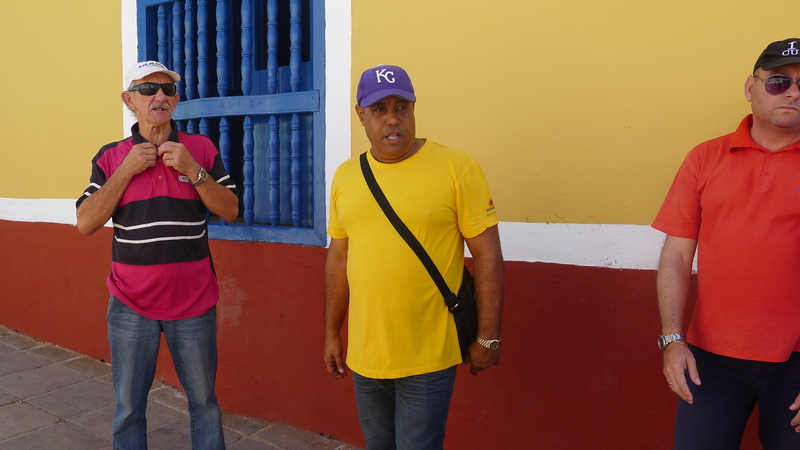 And wasn’t it inevitable that we would run into a Royals fan somewhere in Cuba? Cubans’ favorite Royal, naturally, is Kendrys Morales, a native of Cuba, who escaped the country on a raft in June 2004. Cuba’s loss was our gain. Opening day is less than two months away! FABULOUS pictures! Roberto is quite the cutie! :-) Has the staircase changed much? Would be interesting to do a “then and now” side by side hanging. Looks like you crammed a lot into nine days. I remember my parents taking cruise ship trips over to Cuba from Miami, pre-Castro. It was more like the Cuba of “The Godfather II” then. Thanks, Gayle. Roberto is an interesting guy. He’s either 28 or 29. He doesn’t smile a lot — caught him with a slight one in that photo — but he was engaging enough and stayed on top of things pretty well. We heard a lot about the Mafia connections in Havana. Several times we went by the Hotel Riviera, which Meyer Lansky financed and controlled. Lansky also had a piece of the Hotel Nacional for a while. Fidel was the only guy who was able to easily undercut the Mob; he just expatriated all private property and ran the owners off. …About that staircase. It appears to be exactly the same as it was when Judy Burngen took her photo two or three years ago. She first printed it in color but then changed it to black and white — which is the format in which we have it. Judy worked at Crick’s camera shop for many years and is now retired and living in the Brookside area. I see her around occasionally. I sent her an email about the coincidence, attaching my photo, but haven’t heard back. Great pictures. Many thanks. Amazing story about the marble staircase. You and Patty sure got around during your trip. 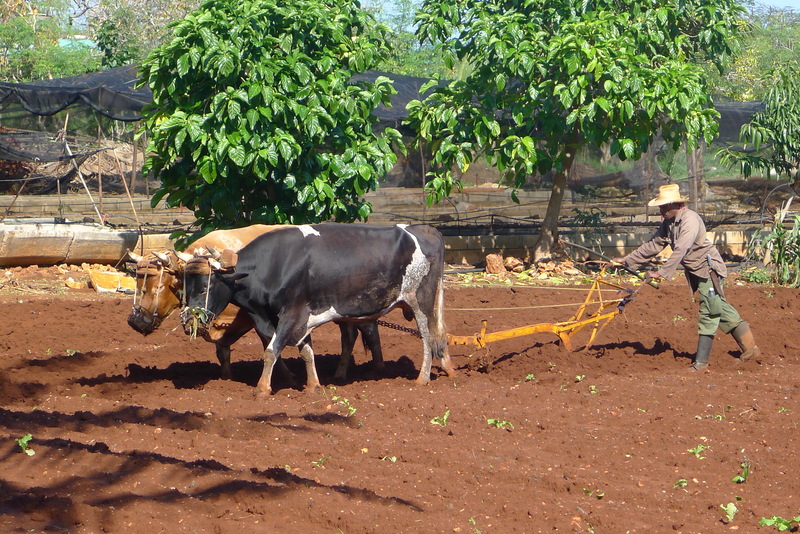 The U.S. needs to send Cuba some tractors for farming. Great idea, Laura…When the embargo is finally lifted, I can’t think of a more appropriate overture than sending the Cubans a literal boatload of tractors. Great work, Jim. 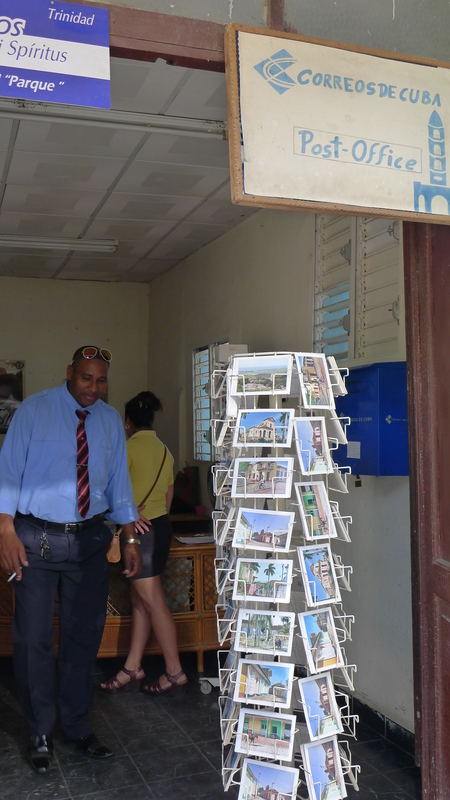 The fashion photography from Cienfuegos was oustanding. That’s funny, Tim…It took a fellow journalist to get the subliminal drift. Maybe the rest of us just had the good taste not to bring it up. Oh, I hope you made a stop at Mama Inez’ coffee shop. Mama Inez, Mama Inez, todos los negros tomamos cafe, Mama Inez . . . .